As a dedicated and passionate agent, Marc’s approach to selling real estate prioritises open communication, honesty and a genuine desire to do the best by his clients to make the sales process as seamless and stress-free as possible. Marc comes from a 4th generation farming family from the township of Charlton. It’s this country, farming upbringing that has taught him a lot about hard work and values such as honesty and integrity. At the completion of High School Marc attended Latrobe University in Ballarat where he completed a double degree in Bachelor of Applied Science/Bachelor of Management. Following this, Marc returned to Charlton where he spent 4 years working at the Buloke Shire Council in a Youth Development role and it was here that his interest in pursuing a career in Real Estate was sparked. 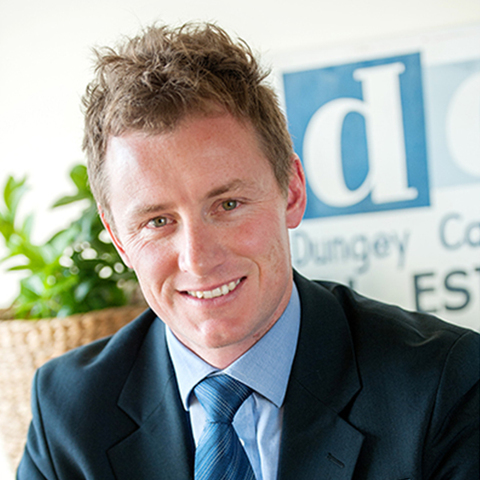 With a passion for working with people and a desire to learn more about the property market, Marc began employment with DCK in 2010 as a Sales Professional and is now a Licenced Estate Agent and Auctioneer. In 2017 Marc teamed up with trusted colleague Justin Pell and their assistant Emma Powell to create their own effective business unit working under the DCK banner. This team has achieved outstanding results which Marc attributes to a combined effort and common goal of delivering high levels of attentive service to their clients. When away from real estate, Marc enjoys spending time with friends and his young family including wife Tamara and their children Jimmy and Millie. Marc has followed his own advice undertaking real estate projects of his own including a small development and believes there is no better way to understand the process from a seller’s point of view, than to live the experience and process first hand. Whether considering selling, buying or simply wanting a friendly chat about your real estate options, Marc welcomes your contact.